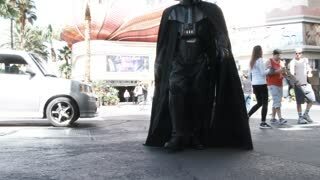 Search Results for "darth vader"
Star Wars Cosplay show. Star Wars fan dressed as Darth Vader on stage. A balloon at the Albuquerque Balloon festival looks like a Darth Vader mask. BOLOGNA, ITALY - OCTOBER 19, 2018: booth presenters welcome visitors dressed as Star Wars fictional characters, Lord Darth Vader and empire soldier. AMBIENTE LAVORO is dedicated to safety at work. A black pillow with a tribute to Darth Vader, full of colors and interesting shapes. Very good graphic design. MOSCOW, RUSSIA - MARCH 28, 2015: Star Wars Cosplay show. Little boy dressed as Darth Vader during the festival Star Fans. MOSCOW, RUSSIA - SEP 8, 2012: Darth Vader at festival Everycon near House of Culture in VVC. BOLOGNA, ITALY - OCTOBER 17, 2018: booth presenters welcome visitors dressed as Star Wars fictional characters, Lord Darth Vader and empire soldier. AMBIENTE LAVORO is dedicated to safety at work. R2D2 from Star Wars driving through the exhibition hall on an Expo in Germany. Kids have Fun with R2D2 from Star Wars at an Expo in Germany. Handheld static shot. R2D2 and BB8 from Star Wars at a fair stand at an Expo in Germany. Handheld static shot.